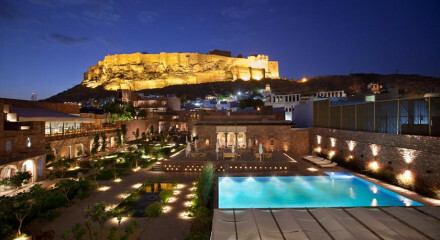 Feel like royalty at this unique hotel, with elegant suites, candlelite dining and a stunning pool, in rural Pali. Pali is a prime spot for birdwatching, don't forget your binoculars. Guests will enjoy the variety of traditional musical performances organised for the evenings. 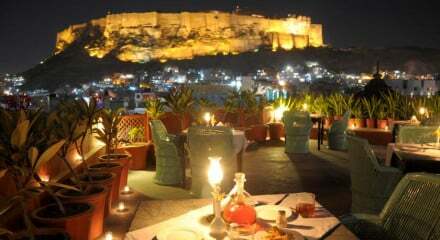 Visit the famed Mehrangarh Fort of Jodhpur. There is an obstacle 9-hole golf course. Take a horse or camel safaris through the desert, wonderfully romantic. Lovely views of the lake from the restaurant.